The Obama Refinance Program: What is it and How do I Qualify? 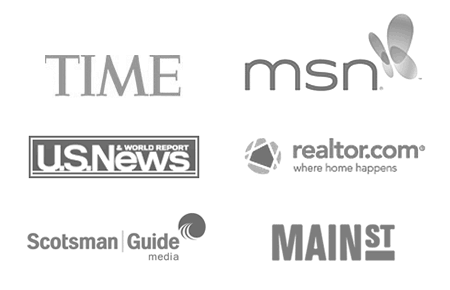 The Obama refinance is one of today’s most powerful tools available to you as an underwater homeowner. But there’s a lot of confusion around the program so let’s take it from square one. I’ve Heard of the “Obama Refinance” but What is It? What’s commonly known as the Obama refinance or Obama mortgage has an official name: the Home Affordable Refinance Program, or HARP. The most useful aspect of HARP is that you can refinance even though you owe more than your home is worth, or in other words, you’re underwater. Most lenders now allow your new HARP loan amount to be as much as double what your home is worth. This is a refinance feature that has never been allowed prior to the HARP program. So how do I Qualify for the Obama Refinance? Your loan must be owned by Fannie Mae or Freddie Mac. (To see if Fannie Mae owns your loan, go here. Check Freddie Mac here. Your loan has to have closed on or before May 31, 2009. Typically you can’t use HARP on the same property twice. You have to have a decent credit score (usually 640-660+). For more extensive program details and Q&A, see our HARP page. Fannie and Freddie don’t own my Mortgage. Is there a Loan for That? The Obama administration is pushing forward a refinance plan to help homeowners whose loans aren’t owned by Fannie Mae or Freddie Mac. The new program has gone by many names, from HARP 3.0 to #MyRefi to “A Better Bargain for Homeowners.” Unfortunately, it’s not available yet. Many variations of a new HARP program have been introduced in Congress but none have passed or been signed into law. This is frustrating for the millions of homeowners who have Jumbo loans, option ARMs, Alt-A loans, subprime, or any other loan that wasn’t acceptable to Fannie or Freddie. 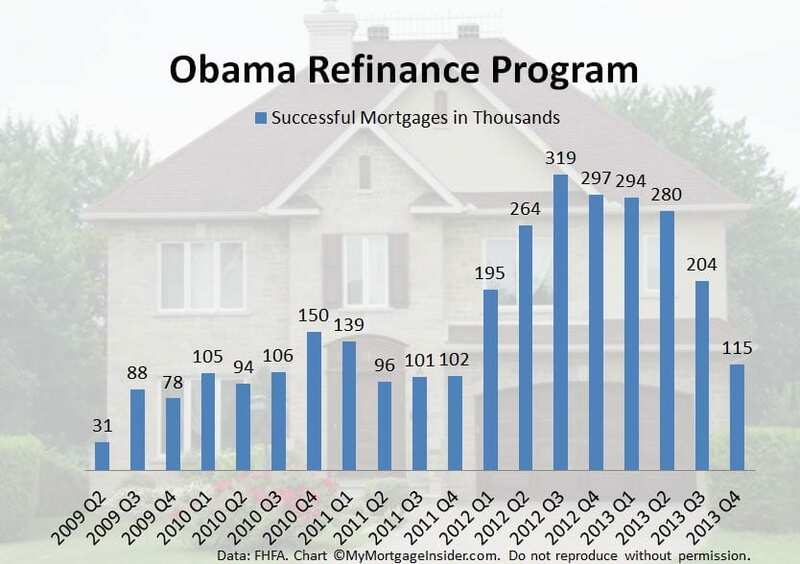 So will features of the Obama refinance program pass soon, or at all? I have to admit that the jury is still out. There have been promising signs of an updated HARP program, such as the confirmation of Mel Watt as the new director of FHFA, the President Obama’s comments in an interview with Zillow last year, and a HARP 3.0 test currently available in Oregon. However, there is no timeline for when a new underwater home loan program will be available. Still, don’t give up hope. Just small incremental changes to the Obama refinance program could mean big savings to homeowners who have been locked out of refinancing since the housing crisis began. You can get involved. See our article on How to Make HARP 3 Happen. If the current Administration gets its way, we could see big changes to the current HARP program. HARP started out as a little-known and little-used refinance type in 2009 – you couldn’t refinance if you had a loan-to-value (LTV) of 125% or more. And many lenders wouldn’t allow anything over 105% LTV. Then in 2012, HARP 2.0 was rolled out, which removed the LTV cap, and did away with the need for an appraisal in many cases. This is the current program, and has helped over 3 million homeowners to date. Any loan would be eligible, whether or not it’s owned by Fannie or Freddie. 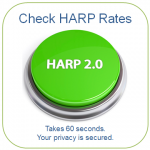 If you’ve used HARP once, you could use it again. It could remove the May 31, 2009 cutoff date so those who purchased or refinanced afterward could use HARP. These are just some of the changes that could come about due to refinance initiatives the Obama administration is trying to push forward. Can I Refinance Without a new Obama Refi Program? Home values have risen as much as 25% over the past year in some areas of the country. It means your value may have increased enough to consider a standard refinance, outside of special government-sponsored programs. For instance, if you owe $200,000, and your value was $200,000 last year, your new value could be $240,000 now assuming 20% appreciation. That puts you in range to use a standard conventional refinance. Even if your new loan amount is over 80% LTV and you have to have private mortgage insurance (PMI), you might find that your payment still drops. And, you can cancel PMI when your loan amount drops to 80% of your current value. How Do I Find Out if I Qualify for the Current HARP Program? If you’ve been denied before, you could be approved this time around. While there are standard HARP rules, lenders impose their own rules and often make the program more restrictive. You could be approved just by inquiring at various lenders. By completing this short online questionnaire that takes 60 seconds, you will be matched with lenders who will look at your situation on an individual basis and determine if you qualify. You could be very surprised that you qualify, even without HARP program changes. It’s possible you could be just minutes away from finding out you can save money every month with a refinance.